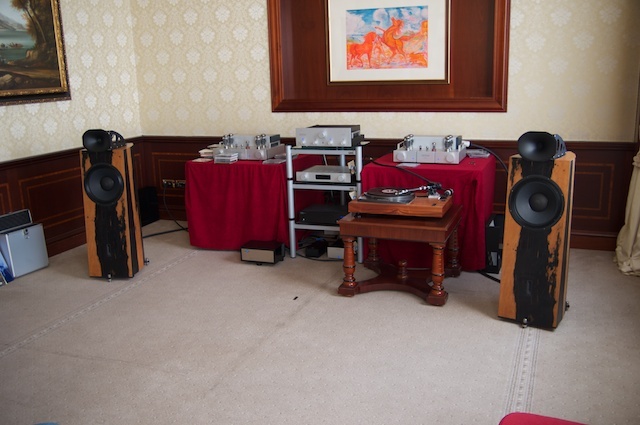 On the 14th April, we participated together with Octave to a private dealer and distributor event in Bologna. Our italian distributor invited us to participate to his yearly meeting. There we had the possibility to share informations about our products. It was a really challenging event. As usual the look of the Genuin FS 2 polarized, but it is a great hint that we can do whatever veneer Your customer may wish. Well... I know that it can play much better, but it was great! !